Meathead Movers, a local student athlete moving company, will match funds raised at a 10 all-star match wrestling event on June 6 at The Graduate in San Luis Obispo to benefit the sport of amateur wrestling. 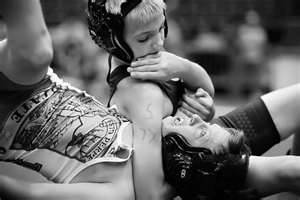 All of the proceeds raised from Match Night will support the Meathead Wresting Club, a nonprofit membership organization dedicated to foster promoting amateur wrestling to youth of all ages and at every level. Meathead Movers has stepped up to match funds raised from the event. In 2004, a group of local businessmen and former wrestlers, including the CEO of Meathead Movers, Aaron Steed, started the Meathead Wrestling Club with a mission to improve the level of wrestling instruction for youth athletes on the Central Coast, and to raise money for local wrestling programs. Today, the club has more than 80 members who are given the opportunity to train under the tutelage of college coaches, compete in matches, and receive financial assistance to attend tournaments and training camps. The goal of this year’s fundraising event is to expand the programs, purchase new uniforms, and increase the scholarships available to local youth wrestlers. While the club dues are $50 a month, no child will ever be turned away for financial reasons. Tables are available for purchase for $150 and individual tickets are available for $20. For additional information, please visit the club’s website.